Functional and decorative logos/decals for commercial, automotive and industrial machine manufacturers. Screen and digital printing with cadcam cutting equipment enable product solutions for most applications in most industries. 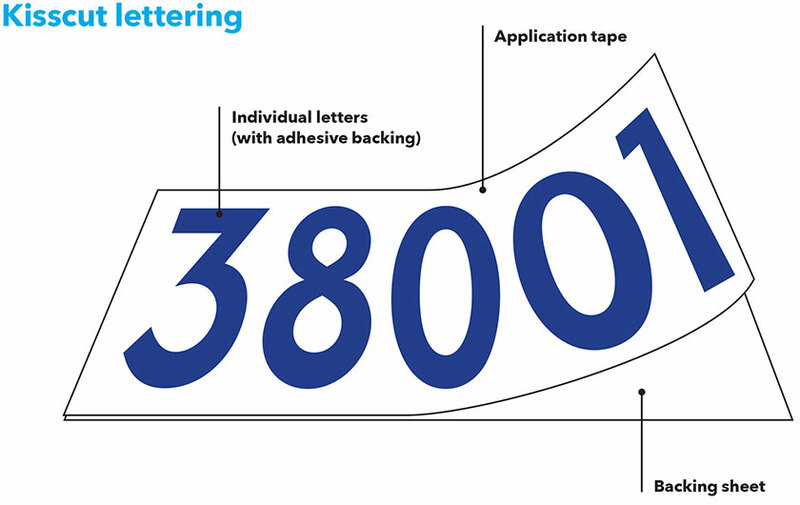 Computer cut lettering produces individual pre spaced lettering which is used in a number of different applications from Vehicle Graphics to Machine identification.